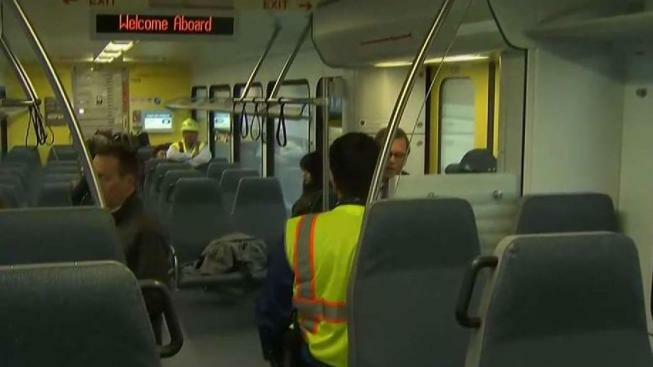 To delight of commuters, the new Bay Area Rapid Transit extension in East Contra Costa County officially opened Friday. The new extension provides a 10-mile service between Pittsburgh Bay Point to Antioch. Members of the public were able to ride from the brand new Antioch "EBART" stop Saturday. The extension is a part of the Highway 4 widening project that plans to expand the highway between Pitssburgh and Brentwood. The new station will be able to carry an estimated of 2,400 commuters in each direction per hour, according to the transit agency. "It might be a benefit depending on the fare and the time frame and connection. But the thing here is the availibility of the seats," said one commuter, Vincent Newman-Brooks. Chris Marquez of Antioch said the extension will benefit him greatly because he doesn't have to take the freeway anymore. The new trains run on renewable diesel fuel, hench the "E" in EBART, and they include digital signs, automated audio announcements and climate control systems. Overall cost of the extension was $525 million, according to BART.